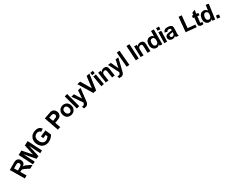 RMG POLYVINYL INDIA LTD is an ISO 9001:2000 system approved company, the largest manufacturer and exporter of floor coverings, films, sheeting’s and artificial leather, Anti-static flooring, conductive flooring, Insulating mats and Geomembrane etc. The company has full fledged lab to carry out the In-House testing of High Voltage Insulating mats which are made of Elastomer in accordance of IS 15652:2006, ISI marked, CPRI tested with much better electrical and mechanical properties and higher fire retardant quality. The Govt of India has accorded RMG POLYVINYL INDIA LTD with star export house status. The company has also received top exporter award consecutively for the last seven years. The RMG has state of the art plant located at Secunderabad, U.P with most modern calendering lines from Germany and USA to deliver widest range of products. The company major client list includes organizations of repute like Indian Railways, Defense, Power Sector, PSU’s etc. etc. We have received large Purchase orders from reputed organizations like Ajmer Vidyut Vitran Nigam Ltd, SAIL, GAIL, IOCL, Kota Thermal Power Station, Nuclear Power, Chhattisgarh State Power Development Corporation Ltd etc.